The countdown is on as fans the world over prepare for the return of the Premier League this Saturday - and also the chance to see Gary Lineker present Match of the Day in his best drawers. After watching former club Leicester City win the Premier League last season, Lineker will honour his vow and host BBC’s MOTD coverage in nothing but his pantaloons. You can get in on the action by betting on what colour Gary will don for his 2016-17 debut, and What Are The Odds has crunched the numbers in an attempt to predict where the pundit’s choice of budgie smugglers will lead. 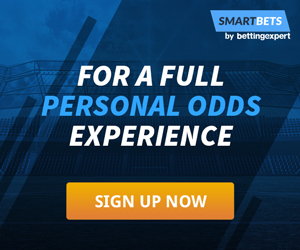 With just a few days remaining until the big reveal, blue is the stark favourite as things stand, currently priced at 3/4 (1.75) with 888Sport and Unibet. However, a 2014 survey by Underwear Expert magazine revealed blue is only the second-favourite choice of pants colour among men, behind black and just in front of the racier red. And rouge is the runner-up to win Saturday’s bet at present, priced at 5/1 (6.00), while black and white are slightly further out in the stakes, each found at 13/2 (7.50). But Lineker could decide to really revel in his half-naked opportunity and go the whole hog in entertaining his viewers, and pink could be a valuable dark-horse option out at 8/1 (9.00), joint alongside grey. Of all the shades the ex-Tottenham Hotspur striker is poised to wear, brown looks the least likely of the lot and is a 14/1 (15.00) far cry, especially considering it would hardly go well alongside Lineker’s bronzed hue. Lineker informed Radio 4’s Today programme back in May that he fully intends to live up to his promise, per the Daily Mail, and now the only question remaining is in what tone he’ll be strutting his stuff.